If you’re putting together big money goals for the new year, it might be time to re-evaluate your banking situation. When it comes to building your savings, you have two main options: brick-and-mortar or online banks. As online banking gains popularity, you might be curious about the best place to park your money. We evaluated the pros and cons of brick-and-mortar banks versus online savings accounts to help you make a decision on where to put your savings this year. Have you been a customer with the same bank since you were 10 years old? Brick-and-mortar banks, or traditional banks, have been good at staying in the public eye. Think about this: Wells Fargo alone has more than 6,000 branch offices in the U.S. When you’ve been with the same bank for years or even decades, it can be hard to think about switching. Bank loyalty might sound good in theory: You know how to access your account, the teller remembers you by name, and well, you just can’t imagine how you could transfer banks at this point in time. But let’s look at the pros and cons of staying with a traditional bank. One advantage to traditional brick-and-mortar banks is that you get plenty of face-to-face time. By walking into a local branch, you get to interact with real bank employees who can answer questions, withdraw and deposit cash on your behalf, and educate you on other financial products. You can ask about mortgages, loans, retirement accounts, and more, plus access products such as safety deposit boxes. If you still like to use cash, then brick-and-mortar banks—especially the big ones—offer wide ATM networks that come with no extra fees, which makes it easy to withdraw cash at anytime. Let’s say you’ve been with the same traditional bank since you were a kid. It just made more sense to keep everything with one bank, and your parents are customers, too, so it must be good—right? Take a look at the current interest rate on your savings account. If it’s less than 2%, you might consider switching to an online savings account. Brick-and-mortar banks have more overhead costs (such as wages for employees, rent on physical locations and utility expenses), which means less savings are passed on to the customer. Brick-and-mortar banks also have an inconvenience factor. Some of them require you to meet in person to close an account or open a new one. This can be especially difficult if the bank doesn’t have flexible operating hours during the work week. Banks that exist solely online can be accessed anywhere at any time. Nearly three-fourths of consumers bank online, meaning consumers are increasingly confident that online banking is secure. Online-only banks have a few advantages over traditional banks, but it doesn’t come without a few setbacks. 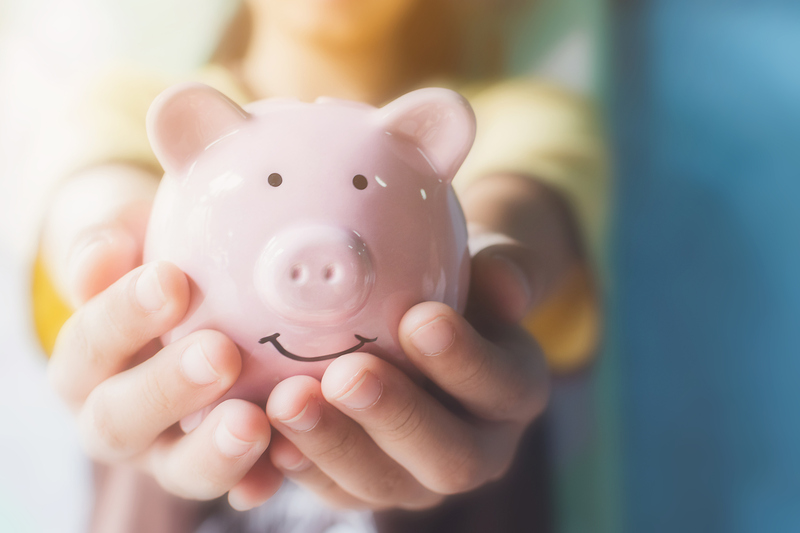 Online savings accounts are gaining popularity because many accounts earn a higher annual percentage yield (APY) than traditional savings accounts. This is the biggest draw for online savings accounts, especially since traditional banks offer essentially zero on their short-term savings rates. For example, a standard savings account with Bank of America yields just 0.03% APY. That’s almost one hundred times lower than what’s available at most online banks. If you have $5,000 in savings, you could earn $100 in interest alone after 12 months at today’s online savings rates versus just $1.50 with a traditional savings account earning 0.03%. It’s also pretty easy to transfer funds between accounts and even between different banks. Because there’s minimal overhead with an online savings account, you can transfer money with little to no fees. Online savings accounts are still trying to clear the negative stigma that they aren’t as “safe” as traditional banks. If everything is done online, how can you be sure your information and accounts won’t be hacked? Before signing up for an online savings account, make sure the bank is FDIC-insured and the account is encrypted. Online banks also don’t come with a friendly face who can help you through your banking questions and problems. Sure, online banks offer customer service phone lines, but it lacks the human touch of an in-person representative. Depositing cash can also be an issue with an online savings account. This is especially hard if your job is cash-based, such as bartending or baby-sitting. You’ll have to hunt down an ATM that accepts cash deposits on behalf of your online-only bank. Want to transfer money between accounts? You may end up waiting between one and three business days to complete the transfer request. If you want to transfer money more fluidly, look for an account that offers same-day money transfers. Regardless of weighing brick-and-mortar banks versus online savings accounts, you have to do what’s best for you. Maybe that means getting a savings account at a brick-and-mortar bank for the in-person service plus an online account that earns higher interest. The point of it is to determine how you can make your money work hard for you in a savings account. Chris Moon is a senior analyst for ValuePenguin, a personal finance company that uses data to help consumers make better decisions in their financial lives.